Vivian Thomas passed away May 11, 2018 at Presbyterian Village, Little Rock, Arkansas. She was born June 18, 1918 in Warren, Arkansas. Prior to her residency at Presbyterian Village she lived in England, Arkansas where she was an active member of Landmark Baptist Church. Vivian was proceeded in death by her husband, Johnnie Marion Thomas, parents William and Nettie Owens, brother Elmer Owens; sisters Annie Bell Barth and Hazel Pennington. 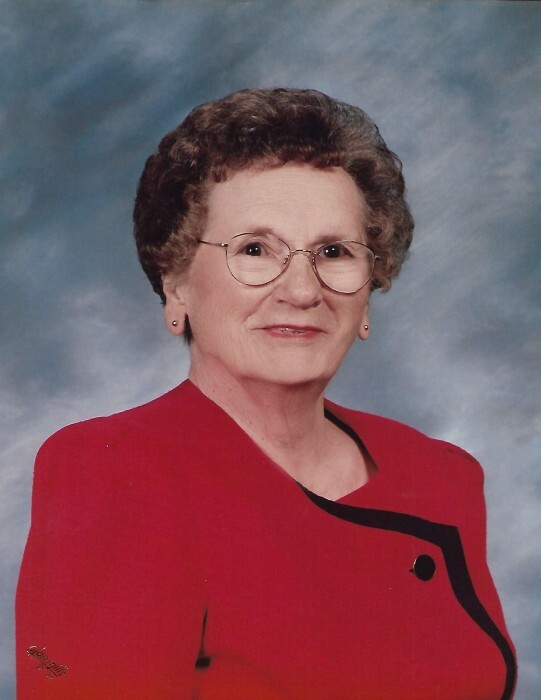 Vivian is survived by her son, Jerry Castleberry, daughter Marilyn Wojnas, granddaughter Monica Gammill, grandsons Bryan Castleberry and Jay Wognas; grandson-in-law Scott Gammill, granddaughters-in-law Brooke Castleberry and Lara Wojnas; 2 great grandchildren, Hunter Gammill and Baylee Castleberry, many nieces and nephews. She was also preceded in death by her first husband and father of her children Aubrey Castleberry. Vivian loved cooking, Razorback basketball, her family and her faith above all things. Services will be held May 14, 2018 at 2:00 p.m. at Landmark Baptist Church in England, Arkansas. Visitation will begin at 1:00 p.m. on May 14, 2018 at Landmark Baptist Church with funeral service to follow. Burial will be at Mulberry Cemetery in England, Arkansas. The family has asked that memorial go to Presbyterian Village in Little Rock, Arkansas. Wilson Robison Funeral Home of England, Arkansas will be in charge of the arrangements.